In this masterful debut by a major new voice in fiction, Jon Clinch takes us on a journey into the history and heart of one of American literature’s most brutal and mysterious figures: Huckleberry Finn’s father. The result is a deeply original tour de force that springs from Twain’s classic novel but takes on a fully realized life of its own. Finn sets a tragic figure loose in a landscape at once familiar and mythic. It begins and ends with a lifeless body–flayed and stripped of all identifying marks–drifting down the Mississippi. The circumstances of the murder, and the secret of the victim’s identity, shape Finn’s story as they will shape his life and his death. Along the way Clinch introduces a cast of unforgettable characters: Finn’ s terrifying father, known only as the Judge; his sickly, sycophantic brother, Will; blind Bliss, a secretive moonshiner; the strong and quick-witted Mary, a stolen slave who becomes Finn’s mistress; and of course young Huck himself. In daring to re-create Huck for a new generation, Clinch gives us a living boy in all his human complexity–not an icon, not a myth, but a real child facing vast possibilities in a world alternately dangerous and bright. 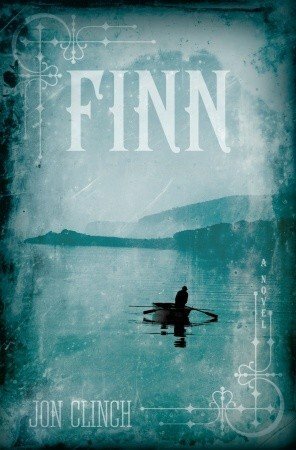 Finn is a novel about race; about paternity in its many guises; about the shame of a nation recapitulated by the shame of one absolutely unforgettable family. Above all, Finn reaches back into the darkest waters of America’s past to fashion something compelling, fearless, and new. This novel brings you back to Huckleberry Finn by Mark Twain. The main protagonist is Finn the father of Huck, a bad man in every sense. He’s racist, shellfish and violent. He does take to loving a black woman while at the same time looks down on and has a hatred towards black people. There will be sides of him that you will read of where he expresses he wants to repent and do good he does have some humble ways by way of his fishing he is regularly out on the mudflats with a cane pole and a blackened corncob pipe. The language used fits in with the Mark Twain era as well as the quite frequented use of the ‘N’ word instead of black purposely in keeping with the characters true behavior. I felt uncomfortable and uneasy when in repeated occasions i read of the racism that a few characters displayed in here, in the end the author has used this in keeping with the racial tension of that time and the fictional character Finn was which will have you disliking Finn. There is some light and hope and that is with the young brave Huck and his mother. A time of attentive reading this will be and not a fast paced read as the story is a character study of Finn, Huck’s pa, and the history behind the Huck character taken from that classic novel of bygone years. A great tale that will stir up all kinds of feelings and a sense of place and time.